The collaboration shows the open attitude of China toward technology cooperation and stands in sharp contrast with the isolated stance of the US, expert said. 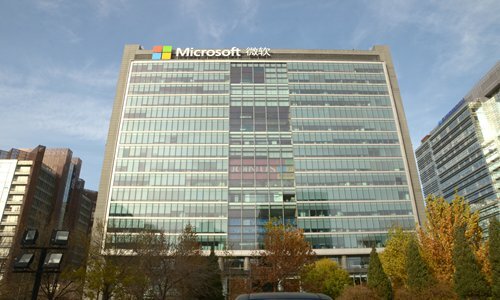 In 2018, Microsoft signed a strategic cooperation contract, under which the US-based technology giant planned to start in-depth cooperation and exploration with the local government and enterprises in areas including AI, VR, cloud computing, big data applications, talent training and technology exchange. "Unlike US, which is now shutting itself off from technology cooperation with China, China is very welcoming when it comes to technology exchanges and cooperation," Fu said. "Of course, there will be concerns over sensitive technology exchanges, and I think that's what worries the US. But with the right regulation, many of the risks can be averted. To shut down all cooperation is not sensible."